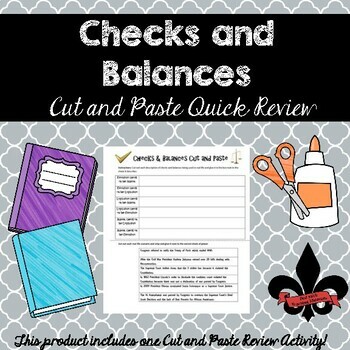 Have your students review how the principle of checks and balances plays out in real life in this interactive Cut and paste activity. 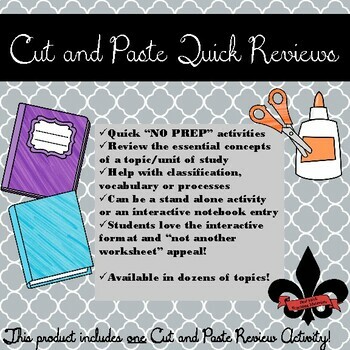 Use this as an entry in an interactive notebook or as a stand alone review activity. This activity has 6 real life scenarios of how each branch has exercised their powers of checks and balances. All students need to do is cut the scenarios out and paste them next to the appropriate check of power. A key is included for teacher to easily make sure students are on the right track!